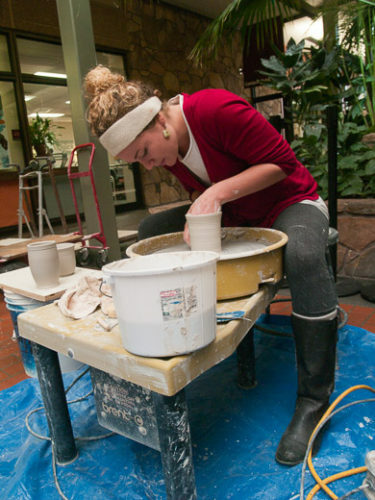 So often, Art students are stuck in the dark dungeons of their studios, concealed from the common eye. 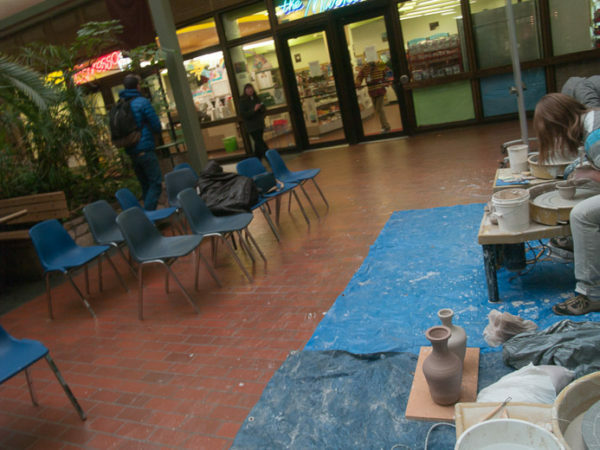 In the case of the ceramics students, we are hidden away in the Art Annex, which is a building not frequented by common students. 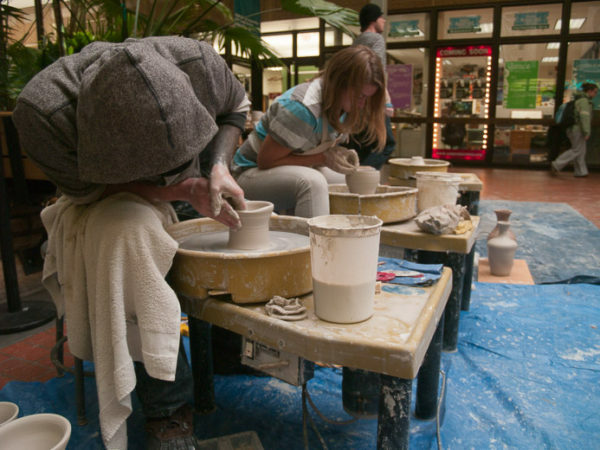 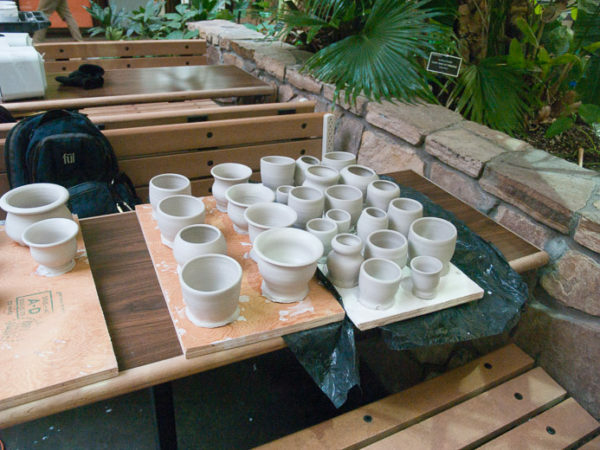 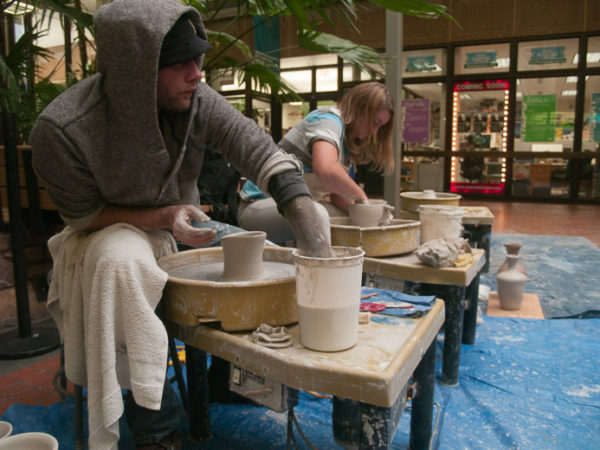 So this idea brought ceramic students out of the unknown territory and into a populated place: the University Center. 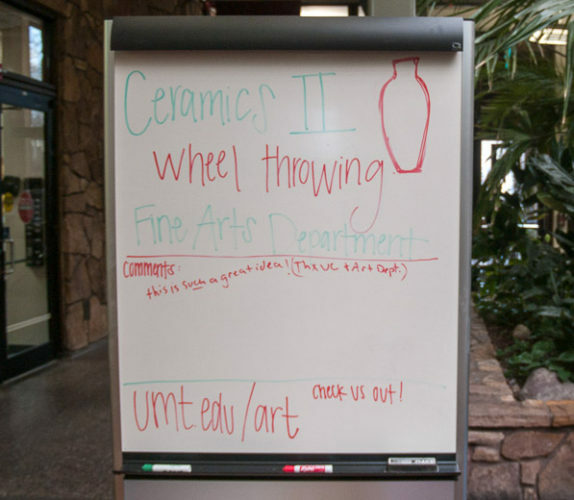 This building is trafficked with students from all over campus from all different majors and a range of ages. 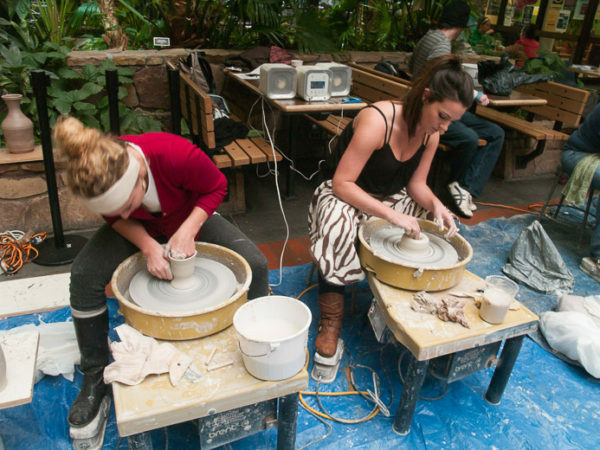 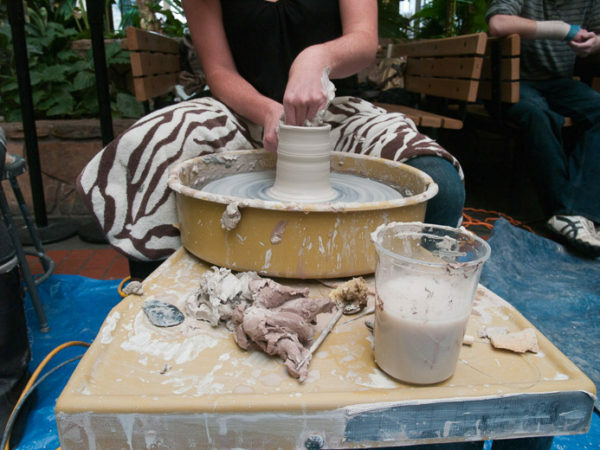 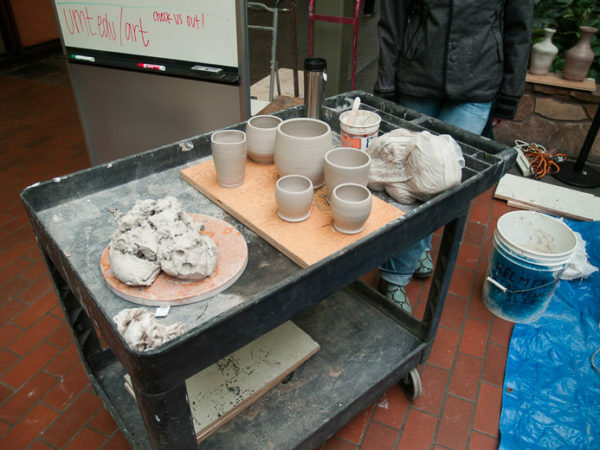 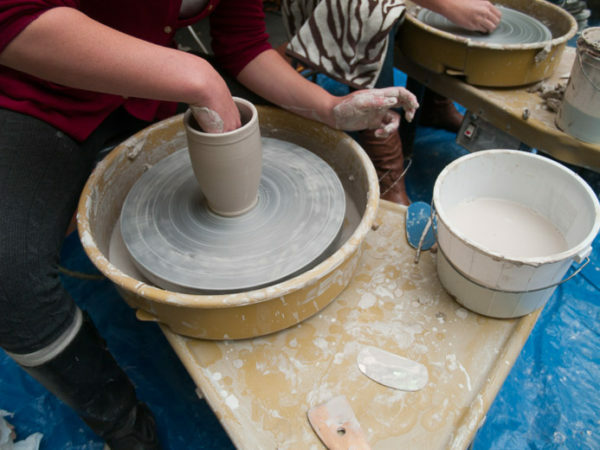 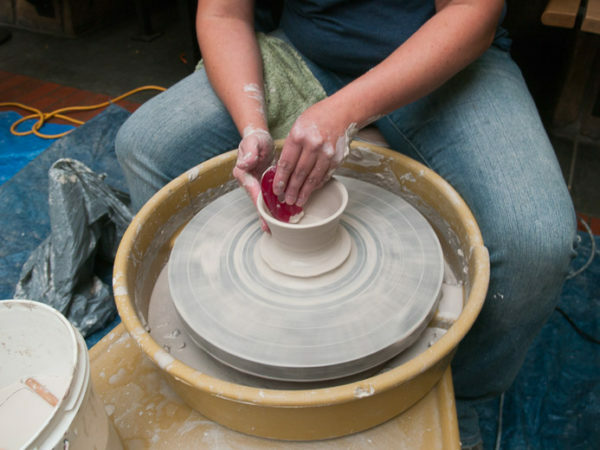 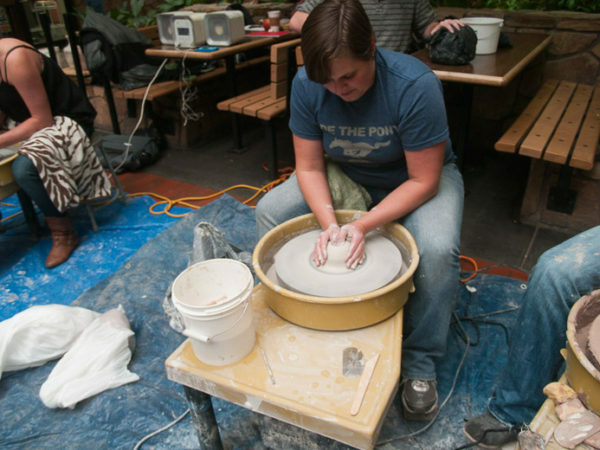 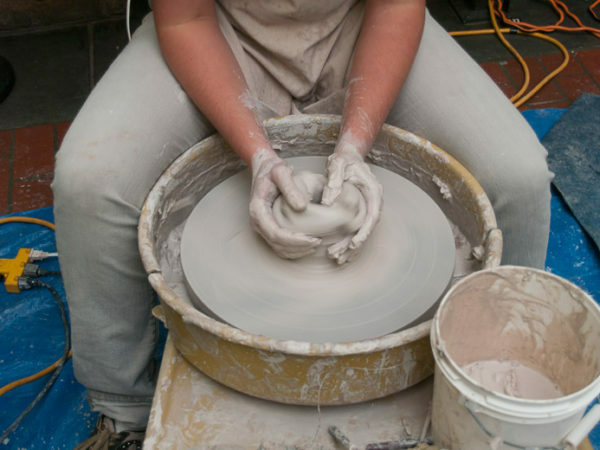 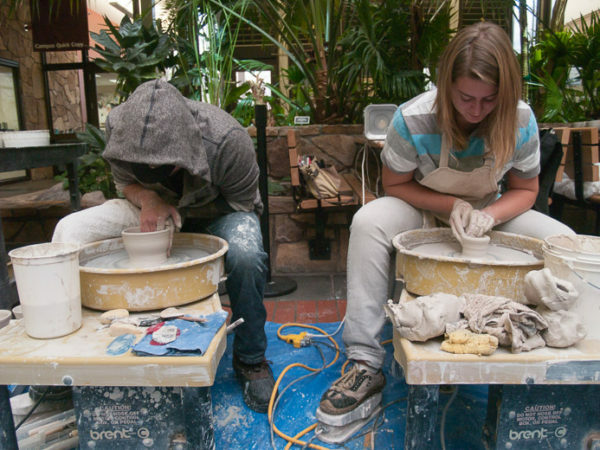 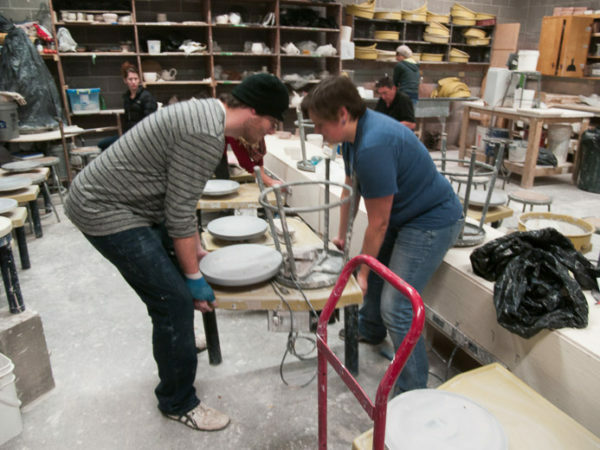 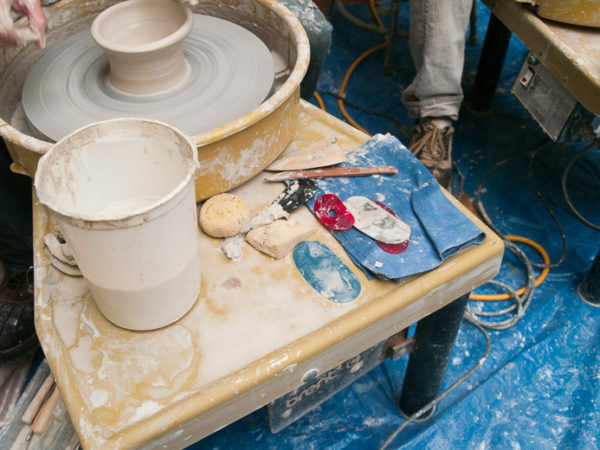 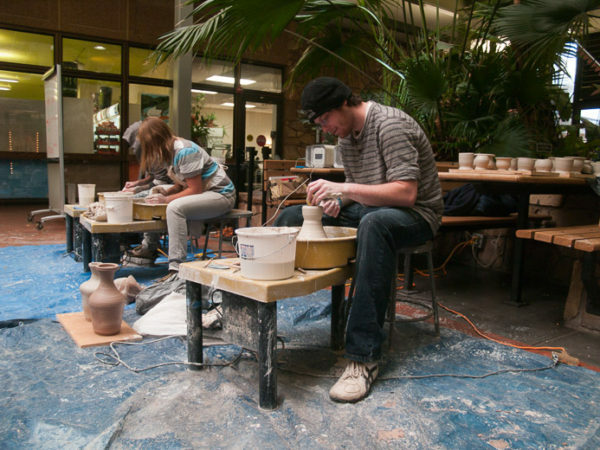 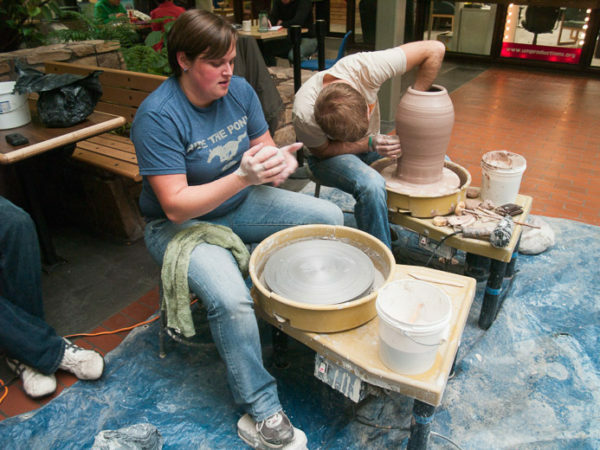 Megan and eight other ceramic students drug down pottery wheels, clay, and tools over to the University Center one day and threw clay on the wheels in front of a supportive student audience for three hours. 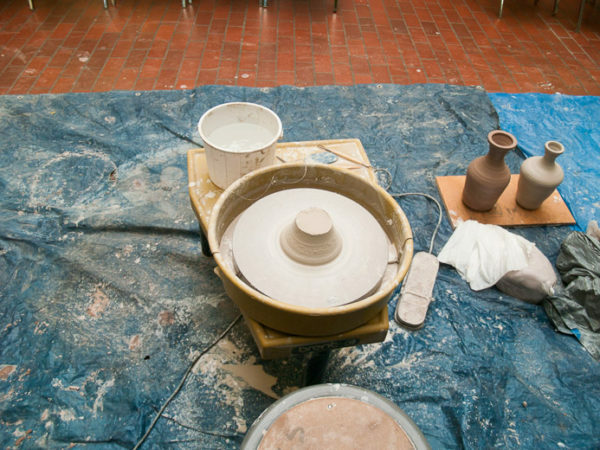 I think I could speak for all nine public throwers that the positive feedback and interest from a non-artist audience is what reassures us and fuels us to keep community ceramic practices going.